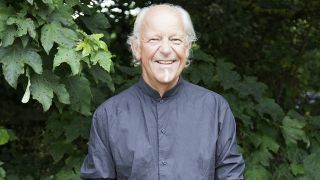 Martin Barre has announced that he’ll release his new album later this year. It’s titled Roads Less Travelled and it’ll arrive on August 31 via Garage Records. Speaking about the 11-track record, Barre says: “I’ve concentrated on improving my songwriting over the last few years and as a result, I am really pleased with this new CD. “Although my playing has a lot of space in the music, I’ve worked a lot harder on the arrangements and lyrics. Barre plays electric guitar, acoustic guitar and mandolin on the album and is joined by vocalists Dan Crisp, Becca Langsford and Alex Hart, bassists Alan Thompson and Buster Cottam, drummers Darby Todd and Aaron Graham, along with percussionist and keyboardist Josiah J.
Pre-order details will be announced in due course, while the cover art and final tracklist can be seen below.